Passion and professionalism are the guidelines for this family, whose members are as enamoured of wine as they are of this part of the world. As a customer, you can learn all about every aspect of the winery’s operations. The estate encompasses the entire production chain, from the vineyards that surround the winery itself to the crushing and pressing areas, as well as the areas given over to vinification, second fermentation, barrel-ageing and modern bottling, all the way to the retail outlet and the tasting room. In all of the departments, the watchwords are hygiene, cleanliness, order and professionalism – all great strengths of Santomè. The winery has a capacity of 13,000 hectolitres. 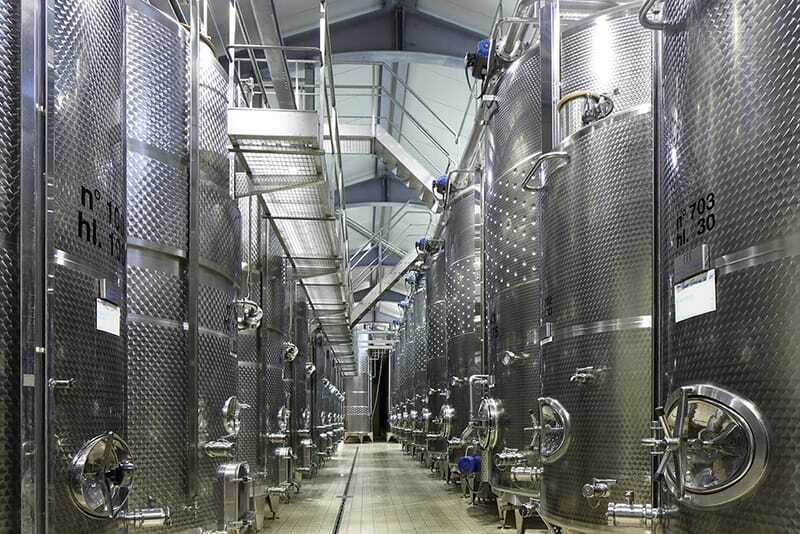 Temperature-controlled stainless-steel tanks are used as they allow for the most effective management of the vinification and storage of the wines. 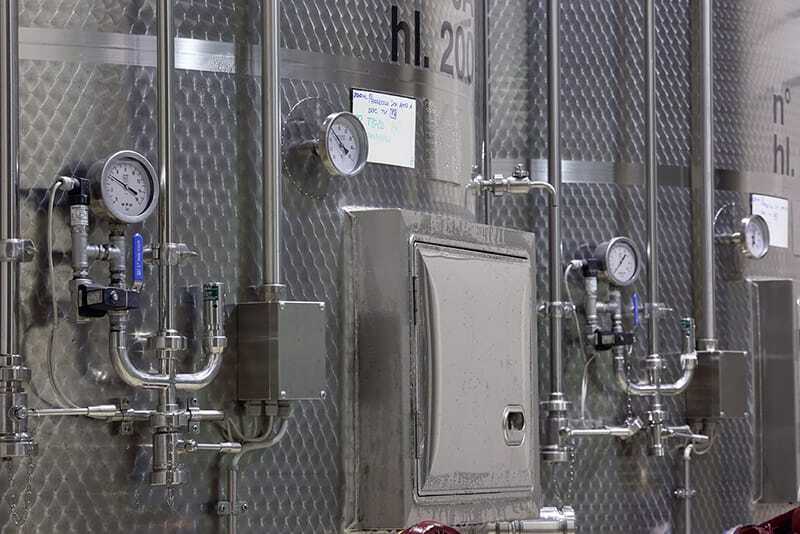 Indeed, tanks of various capacities allow for responsive production management with separate, different vinification processes, even for the grapes themselves, based on the harvesting times and the winemaking objectives. In this high-tech department, we find all of the hermetically sealed autoclaves where the second fermentation process is carried out using the Martinotti or Charmat method. This method envisages the secondary fermentation of the wine in pressurised stainless-steel tanks (the aforementioned autoclaves), which enable the so-called “bottle fermentation” process to take place, resulting in the formation of delightful bubbles. The Martinotti method is used to produce the famous Prosecco spumante, since it brings out the fruity notes that are so typical of this sparkling wine, which is now enjoyed around the world. In this area, the wine becomes “liquid poetry”. 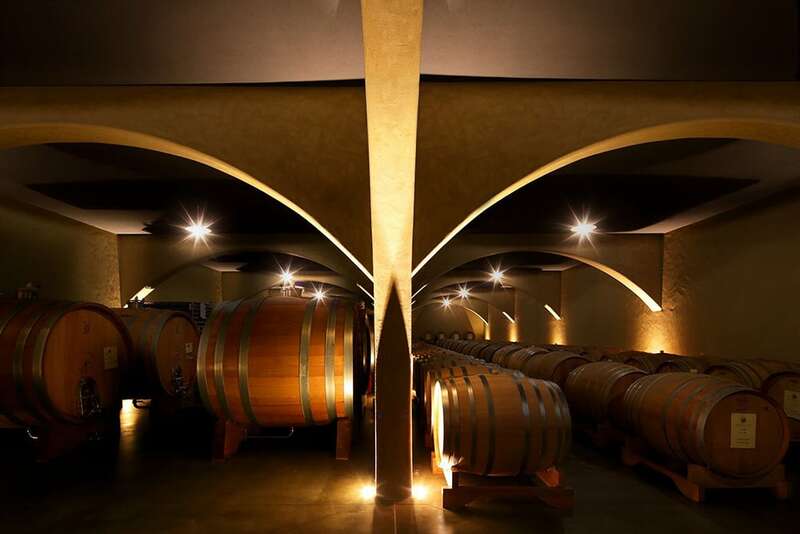 This 700 m2 space, located underground, is given over to the ageing of our finest wines. Here you can marvel at the numerous 25-litre oak and chestnut barrels and the 500-litre casks of French oak. The temperature and humidity here are ideal for the proper maturation of those wines that require prolonged ageing before they are ready to release their complex aromatics. 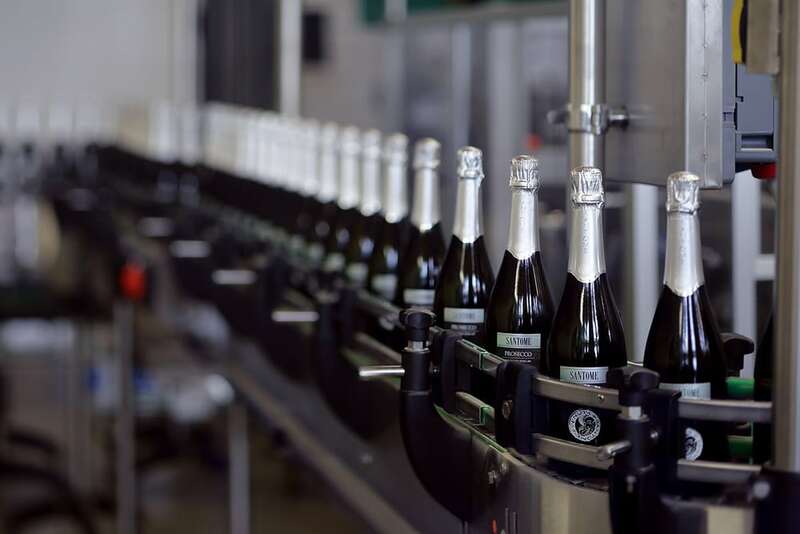 To complete the process, there is a modern bottling line for both still and sparkling wines. In-house bottling allows the company to be highly flexible, making it possible for us to store the wines in the most effective way and to bottle them through the course of the year. This, in turn, means that we can schedule shipments in a rational way, with a view to releasing onto the market products that are always exceptionally fresh – a fundamental characteristic, especially for Prosecco and spumante (sparkling) wines in general. 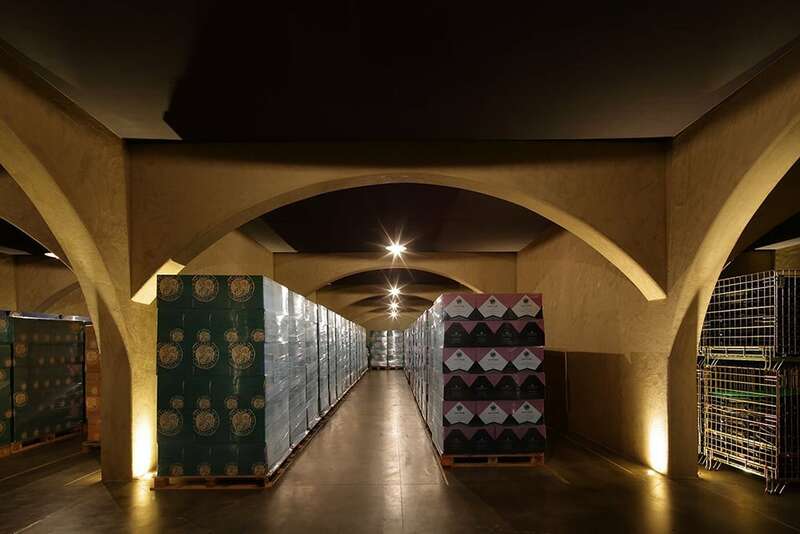 The bottle storage facility – which is an indicator of our consummate professionalism and respect for the finished product – is located in the underground, temperature-controlled warehouse, which is geared towards storing all of the wines as efficiently as possible before they are released for sale. This high-tech warehouse is an impressive calling card that is much appreciated by all of our partners.